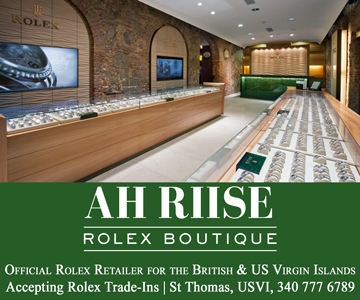 While most people trek to the Caribbean for sun, sand, relaxation, and the feeling that they’ve stepped into a Beach Boys song, many never make it past the beach chair to explore the local treasures and hidden gems their destination has to offer. The Caribbean has many options for unique adventures, and if you’re up for it, the activities below will get you off the beaten path and, in some cases, have you scratching your head. 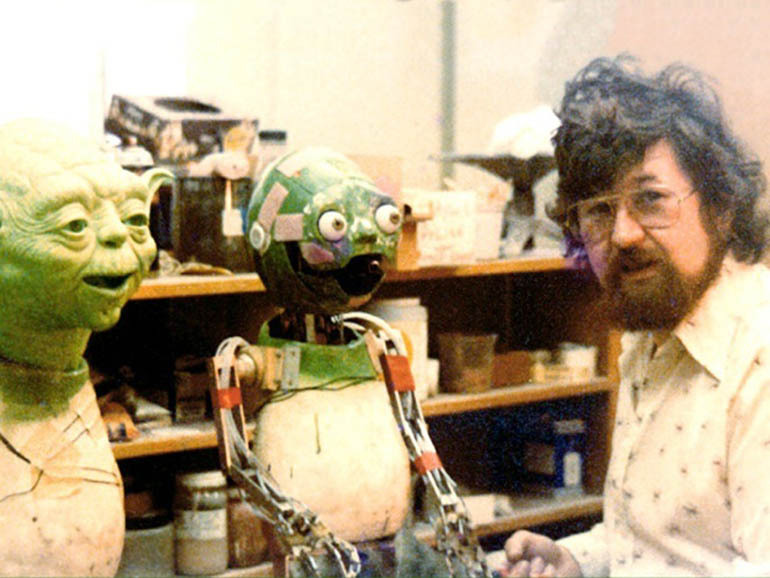 Artist and make-up effects guru Nick Maley has made 53 movies and helped create the enigmatic Star Wars character, Yoda. Along with his wife, Maley opened this oceanfront nonprofit museum in 2011 “to encourage people, especially children, to follow their dreams and be all they can be,” said Maley in this video. 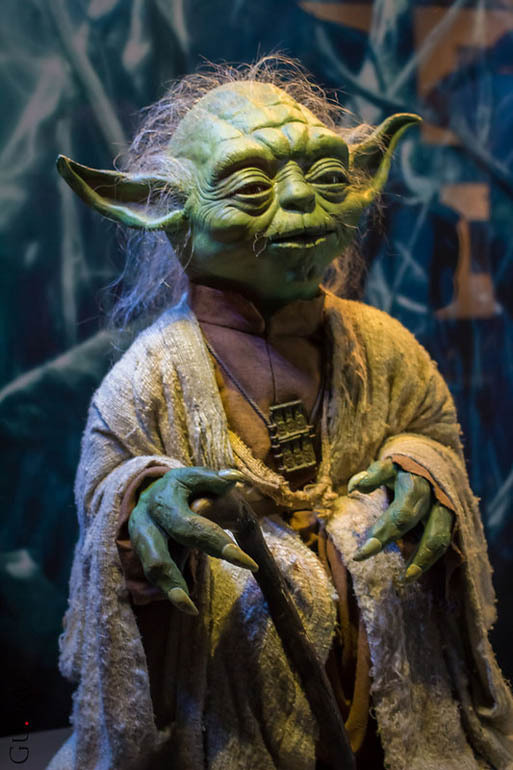 Star Wars fans will find much to love here, but you don’t have to be a cinephile to appreciate the museum’s collections, which include plaster casts of movie stars and other historical personalities (Abraham Lincoln, anyone? ), and even features an art gallery. The fishing village of Gouyave is famous for these Friday night get-togethers where the rum is flowing and the good vibes are palpable. 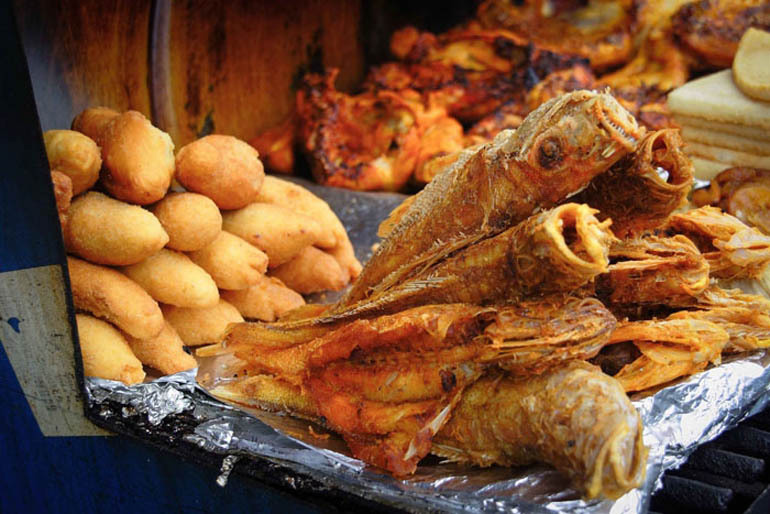 Oh, and there’s the menu, consisting of whatever taste grub is fresh that day: snapper, marlin, conch, lobster, tuna kebabs, fish cakes, coconut shrimp, and more. The hard – yet exciting- part is getting there, which means trekking down the island in the dark (most likely) in a shoddy rental car. But have no fear—the island is a mere 19 kilometres long, so let the stars be your guide. 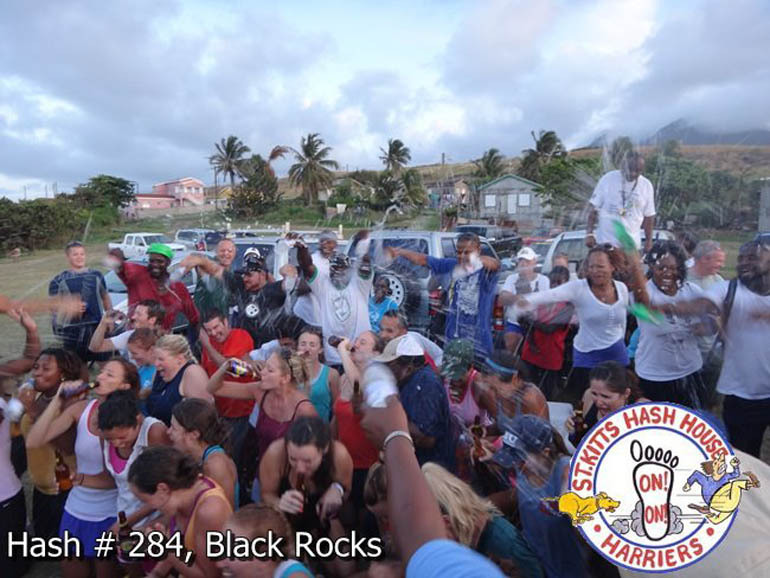 Maybe you don’t want to run on your vacation, but the Hash Run isn’t your average workout. Every few weeks, islanders and tourists alike gather for explorations through rain forests, beaches, villages, cane fields, and other fascinating locales, followed by plenty of beer and a cookout. Everyone’s invited, and all you need is running shoes, a good attitude, and a healthy appetite. They call it ‘A Drinking Club For People With A Running Problem’! 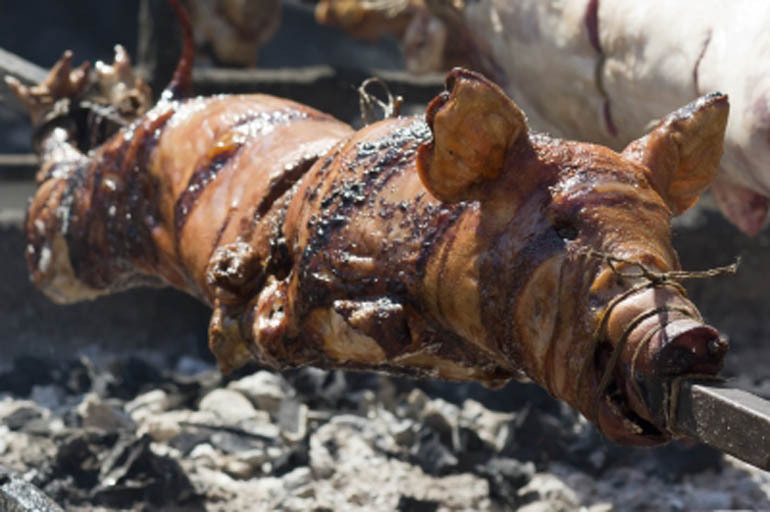 Some call it the Ruta de Lechón, or ‘Pork Highway’, while others know it as the Road to Guavate. But rest assured you’ll call it delicious. Just a forty-five minute ride from the bustling sprawl of San Juan, small town Guavate is located in the lush, mountainous region of Cayey, and is famous for its roast pig. Guavate’s streets are lined with restaurants selling pork, known as lechonerias, and the hardest decision you’ll make all day is selecting a restaurant and knowing when to put the fork down. Aside from the famous pork, you can’t leave Puerto Rico without trying its staple pigeon peas and rice, yucca and plantains, and chicharrón—fried pork skin. And if you’re lucky, one of the locals will offer you a sip of the island’s homespun moonshine, pitorro. It’s illegal, but its widely available, and everyone seems to have their own recipe to boot. 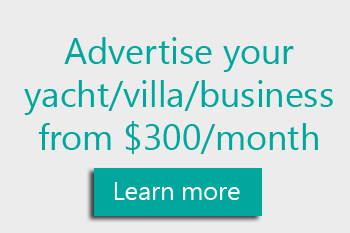 For a small island, Grenada has a wealth of offerings. 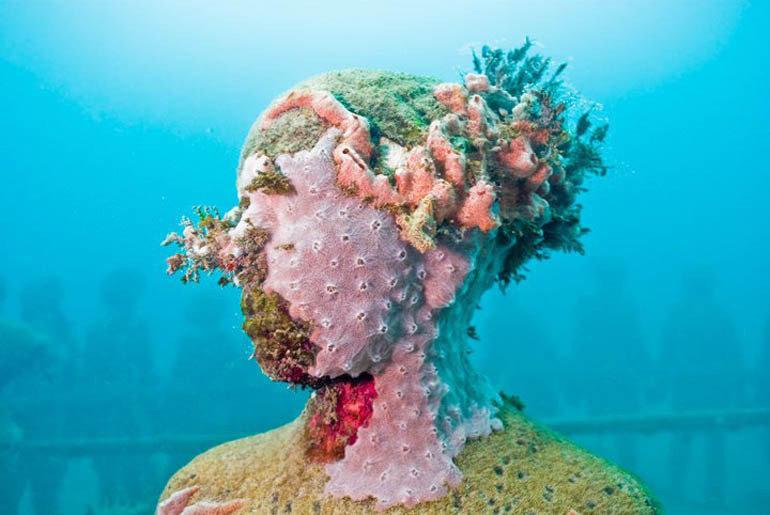 Founded in 2006 by artist Jason deCaires Taylor, the Grenada Underwater Sculpture Park is an artificial reef comprised of sculptures fashioned from repurposed rebar, concrete, and other materials. 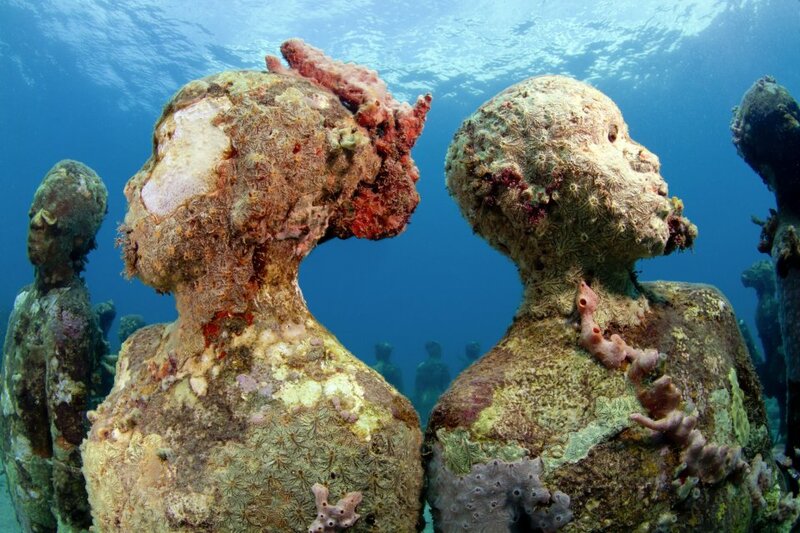 Named one of National Geographic’s 25 Wonders of the World, the Grenada Underwater Sculpture Park was just the first in a line of undersea projects for deCaires. 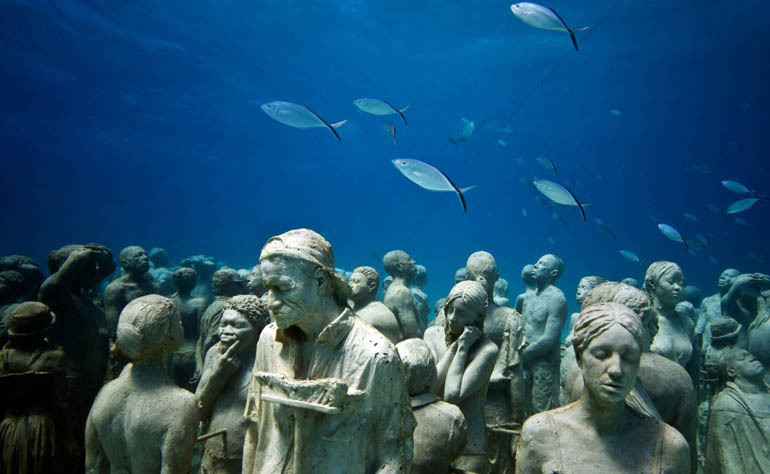 He next started the Museo Subacuático de Arte off the coast of Cancun and is now working on a project in the Canary Islands.